Sold and in private collection. 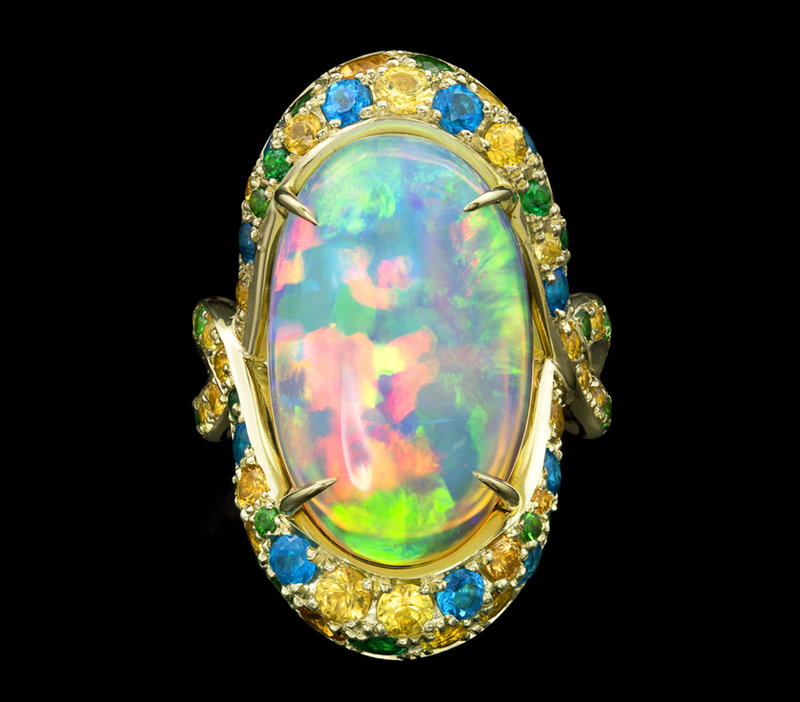 A magnificent Ethiopian opal displays a full spectrum of fire in this striking ring crafted in 14kt yellow gold. 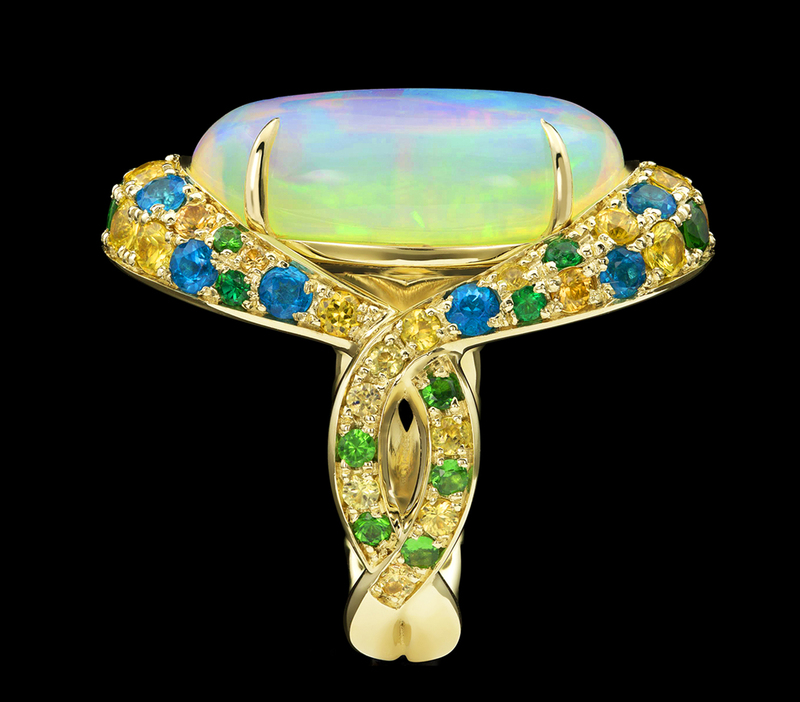 Pavé set golden sapphire, tsavorite garnet, and blue apatite adorn the setting and compliment the opal’s dazzling array of colors. This one-of-a-kind piece is in private collection. For questions or custom design featuring opal, call (949) 715-0953 or use our contact form below. To ask a question, submit this form and we’ll respond promptly.